Advances in the engineering of sensing and acting capabilities, distributed in a wide range of specialized devices nowadays, provide an opportunity for the fundamental advances in computer science made in the past few decades to impact our daily lives. Sensors/actuators deployed in a physical space - a house, an office, a classroom, a car, a street - facilitate a link between an automated decision-making system and a technologically-enriched space. The Intelligent Environment, a digital environment that supports people in their daily lives, is a very active area of research which is attracting an increasing number of professionals (both in academia and industry) worldwide. 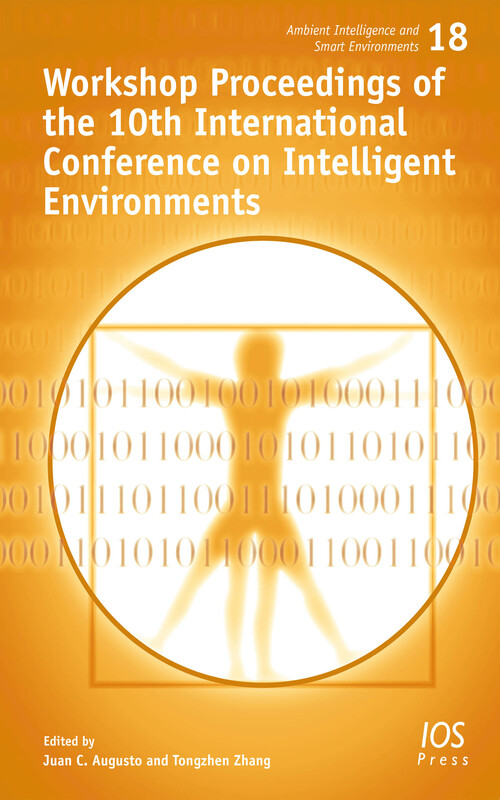 The prestigious 10th International Conference on Intelligent Environments (IE'14) is focused on the development of advanced Intelligent Environments and stimulates the discussion on several specific topics that are crucial to the future of the area. This volume is the combined proceedings of the workshops co-located with IE’14: 9th Workshop on Artificial Intelligence Techniques for Ambient Intelligence (AITAmI’14); 2nd International Workshop on Applications of Affective Computing in Intelligent Environments (ACIE’14); 3rd edition of the Workshop on Future Intelligent Educational Environments (WOFIEE’14); 2nd Workshop on Cloud-of-Things 2014 (CoT'14); 3rd International Workshop on the Reliability of Intelligent Environments (WoRIE 2014); 4th Workshop on Creative Science 2014 (CS'14); and 1st Workshop on Hyperrealistic Intelligent Environments 2014 (HyperRealitIE '14). This book offers an overview of the latest developments in key areas of the development of Intelligent Environments.